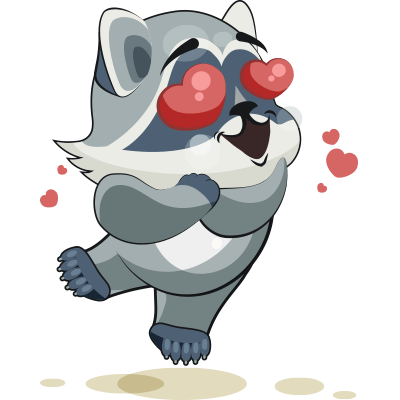 This lovable raccoon is in love. If you have a sweetheart, you should send them this heart-strewn image in a message or post it on their timeline. We have lots of cool images to choose from. Our animal images are sure to garner attention and help you express what's on your mind. Send one today.